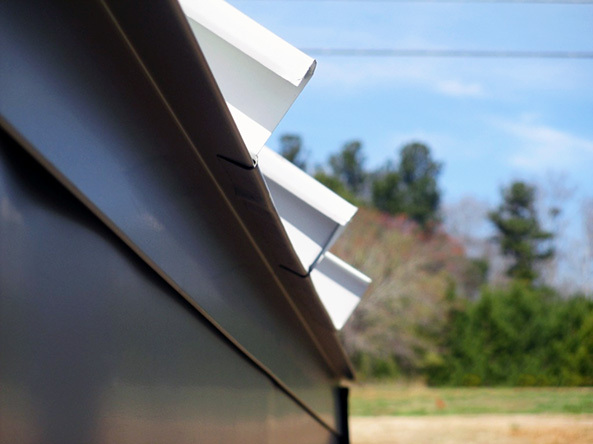 Raymond Engineering was involved in two phases of this project. In 2011 we were asked to provide a roof evaluation survey for the Buford Library’s roof system for the Gwinnett County Commissioners. A report of findings was done and submitted to the Commissioners. In 2013, the Commissioners decided to completely renovate the library. Lindsay, Pope, Brayfield, Clifford and Associates were retained to design the project and provided construction administration. 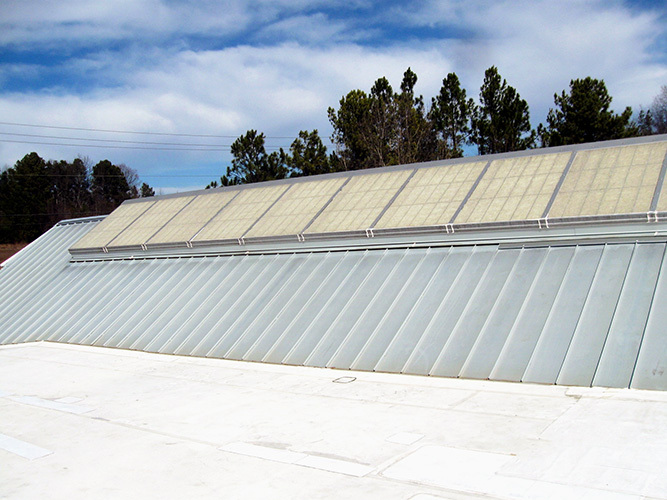 The re-roofing portion of the project was then assigned to Raymond Engineering. 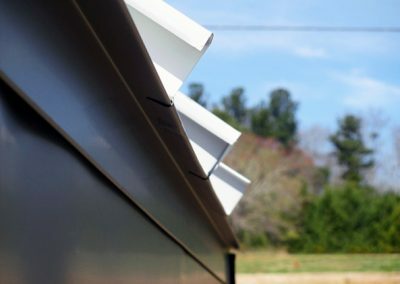 Raymond Engineering’s scope of work for Phase II included the development of plans and specifications, construction administration and quality assurance for the re-roofing portion of the library. 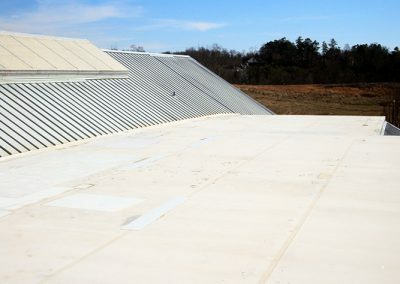 The library’s existing roof system consisted of a single ply system and a metal panel system. 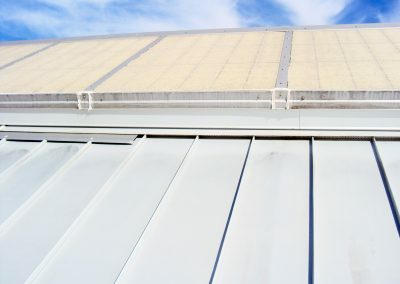 The new system required the removal of both of the existing systems, increasing the slope on the single ply area and installation of a metal panel system on the entire roof. Also included in the scope of work were remedial repairs to the efface to address mold, mildew and general deterioration. Raymond Engineering assisted the client with the bid tabulation, contracts, submittals, pre-work conference and handled associated issues that came up with the project. In addition, Raymond Engineering provided quality assurance inspections. 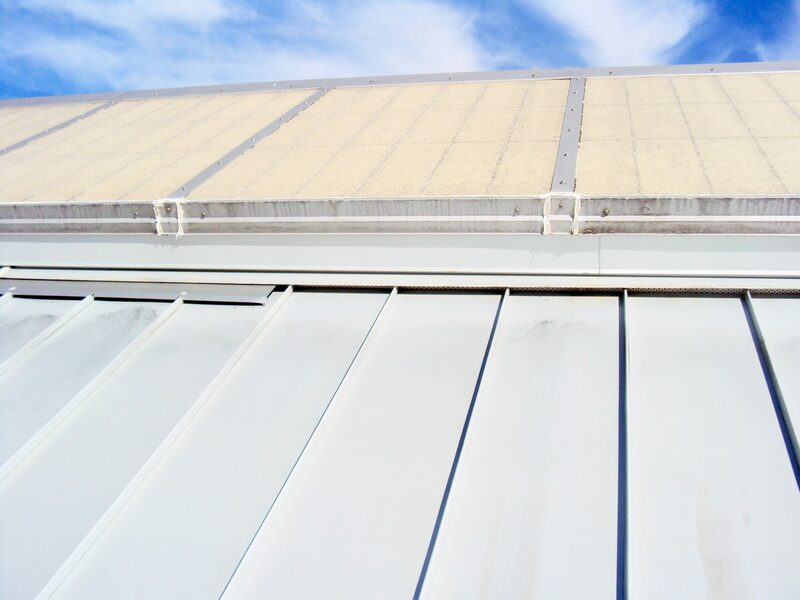 Increasing the slope of the single ply roof system added insulation improved the R-Value of this facility. The plans and specifications were completed on time and on budget.